Ali Nur Hassan is the Chief of Nakuru town. But he is a Chief with a difference, who goes well beyond his normal duties in order to serve his people. He passionately coordinates security teams, village elders and the public to avert violence in the Bondeni area of Nakuru. He believes in integrity: in 2010, he was offered Ksh50,000 to set free criminals who had been arrested in possession of bhang but he was courageous enough to refuse the bribe. Ali Nur understands the importance of community cohesion and integration and he therefore holds regular public barazas to encourage inter-religious/ethnic relationships. In addition, he is also involved in youth empowerment programmes as well as rehabilitating young men and women who are struggling with alcohol addiction. Besides, Mr. Ali rehabilitates is committed to transforming the lives of street children and goes to the extent of taking them to recovery centres. 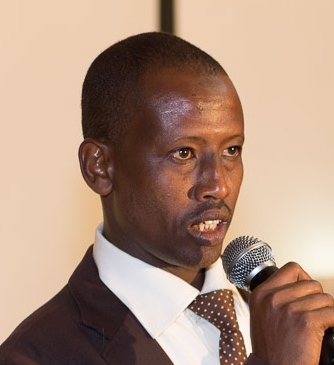 Giraffe Heroes Kenya wishes to recognize Ali Nur Hassan for ‘sticking out his neck’ for the common good and his desire to lighten the loads, strengthen the hearts, and improve the lives of those in his circle of influence.